5 inch phones or phablets are getting tough competition with new models from Micromax Canvas HD, Karbonn S1 Titanium, previously the cost of these phone tablets were around 30k ($550 approx.) now they will be much more cheaper and you can enjoy the same with these new models. With many big foreign manufacturers that already have good 4.5 inch to 5 inch models in the market, the indian mobile manufactures are reducing the cost and giving same performance.. can they capture the market? With most of these phones having dual sim facility, i would say the options for customers have been increased considerably. So let’s see which models we have kept in this list of best Phablets with cheaper price tag. 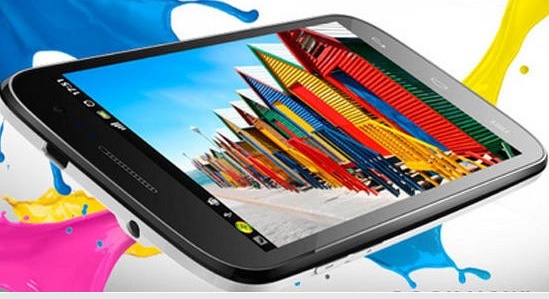 With 5 inch full HD touch and 1280 by 720 pixels, this quad core processor clocked at 1.2 GHz. 8 MP rear view camera with LED flash it runs on Android Jelly Bean 4.1.2. The Demand of this tablet is immense, launched on 14th Feb the phablet is totally sold out and people are waiting for the next batch to arrive in next 20 days. With two color options of black and white, this dual sim phablet is now open for pre-booking at very decent price. 4.5 inch screen, Andriod Jelly Bean 4.1, 5 MP camera with auto focus and LED flash, 540 by 960 pixels and 1.2 GHz quad core processor. Dual core processor with 1 GHz, 5 inch HD display at 1280 by 720 px, Processor with SGX 531 graphics core and 1 GB of RAM and 4 GB of internal memory. Camera at front has 8 megapixel photo resolution and its equipped with auto focus and BSI sensor for photography which helps in low lights. Another manufacturer has joined the band wagon of phablet space with 5 inch dual sim device i.e LavaMobiles, which a domestic giant with very low range phones with great features like 1 GHz speed, dual core processor, 5 MP front camera. This is only phone which has dual sim capability and is lesser than 10k rupees mark. This dual sim phone has 1GHz processor and a RAM of 512MB. It will have the largest screen till now, which is 5.88 inch with 480 by 800 pixels. It has 8 MP camera and will be supporting Hindi Language. It comes with preloaded games like Fruit Ninja, Moto Racing, Temple Run, Alpine Boarder and Angry Bird. This phablet will be launching pretty soon. Another phablet with less than 10k price and dual phone capability, 960 by 540 pixel , 1Ghz processor, internal memory of 1.93Gb, 8 MP camera, dual Mic for Noise reduction and support of Hindi language. 1GHz cortex A9 processor with 5 inch display. 5 MP with LED flash on front camera, internal memory of 4Gb and expandable to 32GB.